It isn't just criminals and hackers snooping on what you do online, either. Marketing companies and internet service providers (ISPs) love tracking where you go and what you do online. Using a VPN service helps you remain anonymous no matter who else is connected to the same network, whether that's at a restaurant or the library or other public place. How does it work? Simply put (and because we've excitedly explained VPN's to proverbial death in a related post), a VPN service encrypts your data and sends it through a series of servers that have been hardened against unauthorized eavesdropping. Your data gets to the website you're visiting (and back again) using this network of servers that can't be monitored by your ISP, marketing companies, or even governments, in some cases. But not all VPN services are the same. The best keep no logs (of any kind) of your internet traffic, and will say so clearly. Shady VPN services may actually retain logs of your usage, or be committed to sharing information with government agencies—directly contradicting the promise of privacy! Our personal favorite lately has been NordVPN. Featuring a clean, intuitive interface and rapid connection speeds, NordVPN has over 5,000 servers to choose from in over 60 countries. Military-grade encryption, a strict "no logs" policy and an automatic "killswitch" (which automatically disconnects your device if the VPN service disconnects, guaranteeing your traffic remains private) make this VPN service robust and secure. Plans start as low as $2.99 per month if you select a 3-year plan, or $11.99 for a one-month plan. 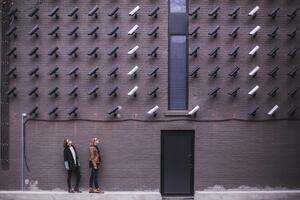 NordVPN, based in Panama, is outside of the so-called "Five-Eyes" (and "Fourteen Eyes") intelligence-gathering agreement, meaning states will not be able to compel the company to release any server logs or customer information. Available for Windows, macOS, iOS, Android and Linux. NordVPN has a super simple interface for connecting to a secure tunnel, and the speeds we tested were in line with our direct ISP bandwidth (meaning very little slowdown of the connection speed when connected to certain servers). Their service also allows you to use a router that supports OpenVPN to pass ALL of your network traffic through (Including from Smart TV's, Amazon FireTV Sticks, etc) for unparalleled privacy and security without any extra clicks. Private Internet Access provides a reliable and easy-to-use VPN service. Plans start at about $3 per month if you pay for a full year, or about $7 if you pay monthly. There are over three thousand servers available, they retain no traffic logs and you can use up to 5 devices simultaneously. Private Internet Access is available for Windows, MacOS, and Linux computers, and they have an iOS and Android app which will work on unlockable android-based streaming devices (Like Amazon FireTV sticks). PIA also has direct router-based VPN service on supported models. It's one of the most affordable VPN services for the amount of servers and speed you can get. They also offer complete privacy when paying for the service. In addition to many popular cryptocurrencies, they also accept payment in the form of gift cards. So go pick up an Applebee's gift card with cash and get yourself some VPN! ExpressVPN has been gaining popularity as another easy-to-use VPN service. They have over 1,500 servers in 148 locations in 94 countries providing fast, secure service. ExpressVPN logs no connections or traffic, has a "killswitch," and is available for Windows, Mac and Linux systems, as well as iOS and Android. One of the pricier options out there (plans can get as low as about $8/month) but with a proven track record and a long history with reliable service. ExpressVPN also has a direct router configuration for constant VPN tunneling (on supported routers) and support for a boatload of streaming devices, and a unique feature for subscribers is the ability to use ExpressVPN's MediaStreamer on Game consoles (PlayStation & Xbox) to access geo-specific content not otherwise available in your region. ProtonVPN is something of a newcomer to the VPN service market, but their fully-encrypted, anonymous email service ProtonMail is very popular with privacy-minded people the world over. Featuring 334 servers in 30 countries, ProtonVPN has several plans available, starting with FREE and ranging all the way up to "Visionary" level for $24 per month and includes a ProtonMail Visionary subscription. The Basic Plan is $4 per month and includes use of 2 devices. All plans use strong encryption, a "no logs" policy, and a "Secure Core" architecture that routes your traffic through multiple servers in their network before connecting to the ultimate destination. ProtonVPN is currently available for Windows, Linux and Android (a macOS version is in beta testing and is available for paid subscribers). We are a HUGE fan of ProtonMail and it's ridiculously simple interface and ability to send encrypted emails to contacts who don't use encryption or know your public key. They've added everything encrypted into one full package that is frankly worth it if you appreciate ultimate security and privacy. If you're a privacy-minded citizen looking for peace of mind when using unsecured internet access, a VPN service is an essential tool to keep your data private. If you're a huge entertainment fan who wants to stream content not otherwise available to you because of where you live, any of the options will be perfect also. Do you have a favorite VPN service that didn't make our list but should have? We want to hear about it, leave a comment below.